Create your seafood empire by catching, breeding and selling fish. Complete quests to unlock new game features. Create the greatest soccer team in the world and lead your guys to victory on and off the field. Have fun choosing your new transferred players! You can check this tutorial if you wanna learn some tips. Enjoy this new version! Capture, breed and sell as many fish as you can in order to start your empire! Make your business bloom little by little and do what you can to offer this city the best fresh fish. Complete every mission! You've just opened a shop where you sell the best chocolate in the world. Serve your customers as well as possible. You've opened your own little flower shop in town, and you have the most demanding customers. Prepare the right bouquets by choosing a card, the flowers and a bow. Try to earn lots of bonus points so you can unlock the next level. 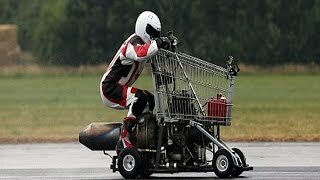 This is the new national sport shopping-cart long jump! Take a run-up, jump on the car and get as far as you can. Do some tricks as well!